There is, however, some controversy regarding his visit. 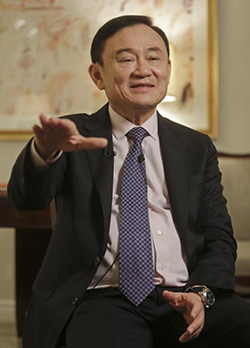 Shinawatra governed Thailand from 2001 to 2006 until a military coup pushed him out on accounts of corruption, abuse of office for personal gain and several other convictions. According to LMU’s Asia Media website, Shinawatra was exiled from Thailand in 2006 and is considered a fugitive by many. He is widely criticized by Thai students, families and citizens across the country. Because of this, Shinawatra’s presence on campus this Thursday sparked controversy among Thai students at LMU. The students interviewed asked to be kept anonymous due to fears about personal safety when stating their opinions on the former prime minister. Thai students in California were right to fear for their safety. 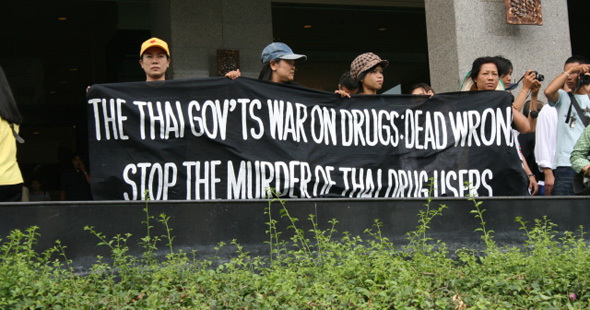 While in power, Shinawatra mass murdered upward to 3,000 people, including thousands during a 90-day "drug war" in 2003, over 80 protesters in a single day in 2004 and a wide range of political opponents and activists. After being ousted from power in 2006, Shinawatra would deploy heavily armed militants in Bangkok in 2010 and again in 2013 and 2014 in a violent bid to seize back and hold political power. Over 100 would die during the violence. In addition to Shinawatra's appetite for violence, he was also immensely corrupt. He was charged and convicted for abuse of power and sentenced to 2 years in prison. He fled the country and has not returned since, thus living abroad as a fugitive. In 2011, his sister, Yingluck Shinawatra, would run in controversial elections openly as his proxy, then attempted to rewrite Thailand's laws to exonerate her brother and return him to power. It was also between 2011 and the military coup that ousted her from power that a disastrous rice subsidy scheme used to secure Shinawatra the election began unravelling. At one point, just before being ousted from power, upward to a million impoverished farmers had already transferred their rice to government mills, but were left without subsidy payments for over 6 months. In fact, farmers were not paid until the military seized control and mobilised emergency funds. Considering Shinawatra's violence, corruption and his sister's trampling of impoverished farmers the Shianwatra family used to win the 2011 elections, it was a strange choice by the US State Department to admit Shianwatra into the United States, let alone have an American university host him for a talk about "reducing poverty." The United States, as it hosts a mass murdering convicted criminal, has predicated alleged concerns regarding Syria's ongoing conflict on concerns regarding "human rights." In light of America's apparent indifference to Shinawatra's human rights abuses, it is clear that the United States is merely using humanitarian concerns in Syria as a pretext to pursue a more self-serving objective. Likewise, the US is using concerns regarding an ongoing "war on drugs" in the Philippines to place pressure on Manila for an assortment of geopolitical concessions. However, Philippine president, Rodrigo Duterte must be forgiven for not taking America's concerns seriously, considering the hospitality another Southeast Asian leader is enjoying despite putting upward to 3,000 people to death in the streets extrajudicially in just 90 days without trials or even warrants. 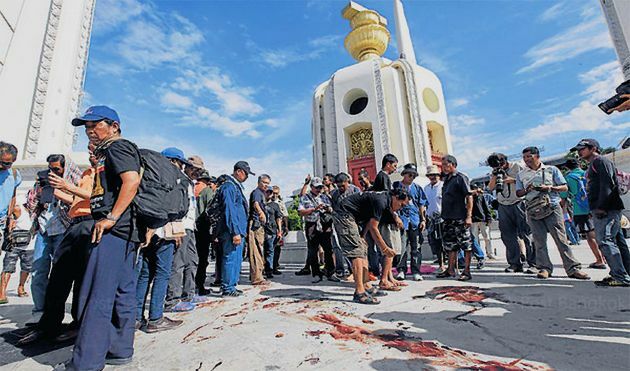 Shinawatra's most recent acts of violence took place between 2013-2014 when armed militants he deployed carried out deadly attacks on protesters who sought his sister's ouster from public office. There is also the matter of rule of law. The United States claims that nations like China in the South China Sea are beholden to the "rule of law," yet it has transparently discarded it by ignoring Shinawatra's convictions, the fact that his passport has been revoked by his home nation and the fact that he faces multiple warrants for his arrest by a nation the US claims is America's ally, but refuses to honour. China might be forgiven for sensing a certain degree of flexibility within the "rule of law" considering the ample room the United States finds for itself to manoeuvre. Despite US grandstanding as leading a self-proclaimed "international order," it is abundantly clear that whatever this "order" represents, it floats freely of any definite principle and is defined by whatever is convenient for Washington and its interests at any given moment. Such an "order" seems to work contra to the best interests of the vast majority of the planet's population, and such shifting principles seem more like hypocrisy than a reliable framework within which global business can be conducted. The US, through acts of hypocrisy like Shinawatra's recent visit to Los Angeles, reaffirms the necessity of ushering in a multipolar international order, the diminishes any one nation's power upon the global stage, and makes flagrant abuses of common principles like that which the US regularly demonstrates less frequent and less severe.